With rich experience of the concerned domain, we are able to manufacture, export and supply a comprehensive array of Liquid Filler Machine like Soda Pet Bottle Filling Machine and Liquid Filler Machine. Used for various packaging applications in industrial and commercial sector, this machine is provided in different capacities and is equipped with various features to suit the requirements of our clients. Precisely designed this range can be availed in different customization options by our valued clients. 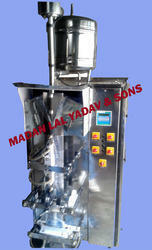 We are a famous name engaged in offering Automatic Liquid Filling Machine. Our offered machines are manufactured from best quality industry components, which are procured from reliable vendors of the market in compliance with set industry standards. Our offered machine is widely used in various industrial applications and available with us in different specifications.